Mirror is in good clean condition. Manual Dim Style. 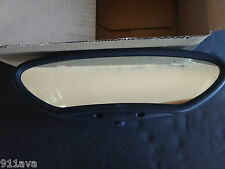 ( 1 ) Original OEM Porsche 987-2 Boxster 987 C Cayman Interior Mirror. Will fit all Porsche 987.2 Boxster 2009 - 12 987C2 Cayman 2009 - 12 ( Check Part No for finial fitting ). This is a used in good condition ( Except Imperfection on Mirror Glass ( small Imperfection on Glass see Photo's ). ). WILL FIT: 1997-2004 PORSCHE BOXSTER. UP FOR SALE IS A USED REAR VIEW MIRROR FROM 2004 BOXSTER. 2012 - 2018 Porsche 911. This unit will also fit on other years and make models from 2012 - 2018 Porsche vehicles listed above. It is a windshield mount.This unit is in perfect working condition. 2013 - 2016 Porsche Boxster. 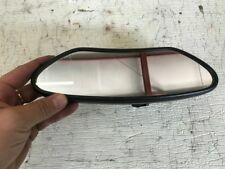 Here is a very nice used original genuine Porsche rear view mirror 996.731.511.00 as used on 1997-11 987 Boxster and 2006-12 Cayman models. This part was removed from a 2008 Porsche Cayman S 987 3.4L with 72k miles. Porsche Boxster 2009 Base, S, S Porsche Design 2 2.9L H6 - Gas, 3.4L H6 - Gas. Porsche Boxster 2012 Base, S, S Black Edition, Spyder 2.9L H6 - Gas, 3.4L H6 - Gas. 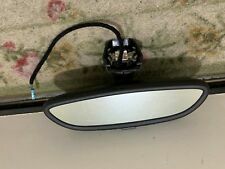 12-16 PORSCHE 991 CARRERA S 981 BOXSTER REAR VIEW DIMMING MIRROR 99173151102 OEM. Condition is Used. Shipped with USPS Parcel Select Ground. Very nice porsche 911 rear view mirror. LKQ SKU: LKQ502 ~198456353 MIR50222. We do our best to prevent these issues from happening and apologize for any inconvenience it may cause. Porsche Boxster 2000-2004. Porsche Boxster 2005-2012 w/o automatic dimming. Porsche Boxster Rear View Mirror 986 OEM 996 731 511 00 This item is used with normal wear & tear. Click to view picture & details. Confirm fitment with your dealer or mechanic. Suitable for Porsche 911 and 993 (1989 to 1998); Porsche 944 and Porsche 928 (1984 to 1997) and Porsche Boxster (986; 1997 and 1998). Mirror was removed from a 2000 Boxster S. This unit will also fit on other years and make models from 1997 - 2004 Porsche Sport Car base on my research. 1997 - 2012 Porsche Boxster Cayman Inside Rear View Mirror 99673151100 Condition is Used. Shipped with USPS Priority Mail. 199 7-2004 PORSCHE BOXSTER. WAS REMOVED FROM A NICE 1997 BOXSTER. OEM / GM:MANUAL REAR VIEW MIRROR. OUR PARTS ARE GOOD USED PARTS BUT THEY ARE USED. THEY ARE NOT NEW OR "MINT". 2013 Porsche Boxster Cayman 981. This part was dismantled off a 2013 Porsche Boxster Cayman 981 with 48k miles. Rear View Mirror Black OEM. Northwest Specialty Dismantling Inc. • Normal wear from normal use. ( 1 ) Original OEM Porsche 996 Boxster Interior Mirror SWITCH. Will fit all Porsche 996 Boxster ( Check Part No for finial fitting ). Porsche Boxster 2005-2011. Porsche Boxster S 2005-2011. Porsche Cayman 2007-2012. Porsche Cayman S 2006-2012. ALL OUR PICTURES REFLECT THE ACTUAL PARTS THAT YOU ARE BUYING. YOU GET THAT WHAT YOU SEE IN THE PICTURES. 2000 01 02 Porsche Boxster S 986 3.2 Inside Rearview Mirror 996-731-511 as pictured for sale in good used condition. This part has been carefully removed and inspected from a 2000 Porsche Boxster S 3.2L with only 56,402 miles! 2017 Porsche Boxster S 718 Convertible PDK Automatic RWD(Rear Wheel Drive) 2.5 VIN#WP0CB2A83HS240960. Interior Rear View Mirror Housing ( Marks / Build Up / Scratches / Wear / Residue ) Part# 991.731.511.04 7PP.035.504A 971.035.503A 991.615.108.01 9P1.971.103A pictured-removed from a. Model: 991 981 981c. Porsche 991 981 Rear View Mirror. Genuine Porsche Mirror, Made in Germany. 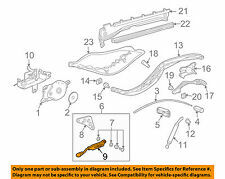 Quality Porsche OEM Auto Parts from LA Dismantler. (The Part which you see Pictured is the Exact Part that you will receive). Interchange: 267-50222 2000-2012 Porsche Boxster,w/o automatic dimming. We consider this item to be in good, used condition. It does have normal wear. It still could use a good cleaning. I took good pictures of the item. Model: Boxster. Make: Porsche. Mileage: 121,800. 1999 Porsche Boxster 986. This part was dismantled off a 1999 Porsche Boxster 986 with 129k Miles. Interior rear view mirror OEM. This item is in good condition, it is not cracked or broken. There is wear from normal use. 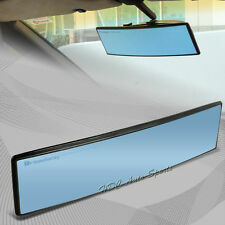 ( 1 ) Original OEM Porsche 997 Left outside Mirror Glass. This is a used in good with imperfection Mirror Glass ( marking on outer Glass see Photo ). Pulled from: 1999 Porsche Boxster. Part: Factory Rear View Mirror, Manual Dim. INTERIOR REAR VIEW MIRROR REMOVED OF = 1999 PORSCHE BOXSTER =. INTERIOR TRIM:GVWR. PART IS USED AND HAS WEAR AND COUPLE SCUFFS. CONDITION: USED. PART NUMBER: N/A. MILEAGE: 159.980. 300mm ( 12" ) Convex design To minimize Your blind spots. 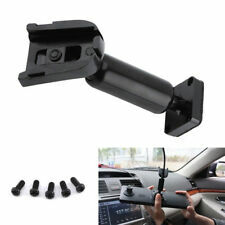 Simply fits over existing rear view mirror ( no bolts or glue ). Universal for all vehicles. fits in almost all vehicles. Polished Finish to Give a Better reflection of The Rear. 2006 Porsche 987. Boxster S Convertible 6 Speed Manual RWD(rear wheel drive) 3.2 VIN#WP0CB29816U730562. Interior Rear View Mirror Housing ( Marks / Build Up ) Part# 996.731.511.00 pictured-removed from a. 2013 Porsche Boxster S 981 Convertible Manual 6 Speed RWD(Rear Wheel Drive) 3.4 VIN# WPOCB2A80DS130636. Interior Center Rear View Mirror pictured-removed from a. We take multiple pictures in an attempt to clearly portray the general color and condition of the item. Removed from 2009 Porsche Boxster S. Windshield rear view mirror. Only 50,503 Miles on it! Contact us for Compatibility! Very nice base interior rear view mirror from a 1998 Boxster S. I believe this interchanges 1997 1998 1999 2000 2001 2002 2003 & 2004 models. Mirror quality is excellent, black surfaces are very nice. Boxster 5 Speed Manual RWD(rear wheel drive) 2.7 DOHC 24V VIN# WP0CA29865U710793. 2005 Porsche. Interior Rear View Mirror pictured -removed from a. We take multiple pictures in an attempt to clearly portray the general color and condition of the item. Has a few scratches on the forward facing surfaces. The mirror is in excellent condition.